Do You Have a Large Pony? An Extra Large Small Pony? A Petite Pony? A Drafty Pony? How do I get a harness to fit? A horse is a horse is a horse, right? No. Every breed of horse (or any equine) is somewhat different in shape from another. Just like people some have larger or smaller parents, or grandparents. AND, just like people, horses need clothing that fits them and is proportioned correctly for their body. 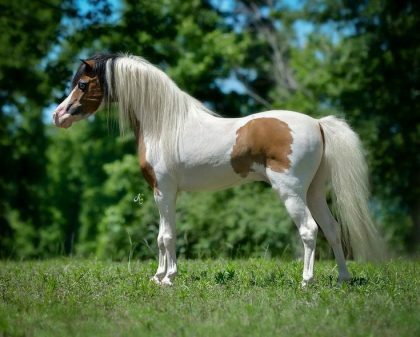 Our model pony, Alamo’s Ruby Red is a 12 hand Caspian pony. She began as a slender pony as as she’s worked and gained muscle and stamina she is now a powerfully built, heavily muscled pony. 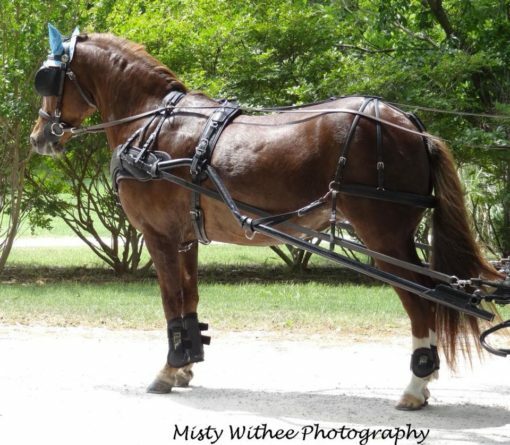 Mini harness is made for 32-38″ miniature horse proportions. Small Pony – Still definitely Pony proportions. 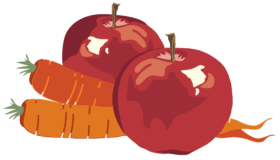 First: Choose the Style, Type, Configuration you need. Next: Choose the Proportions you need. Then order the size -proportion category you think is best for your animal and order that size harness to fit your measurements. Chimacum Tack can always make harness to fit your animal. We can make a pony proportioned harness to fit a 40″ pony of a 60 ” pony. 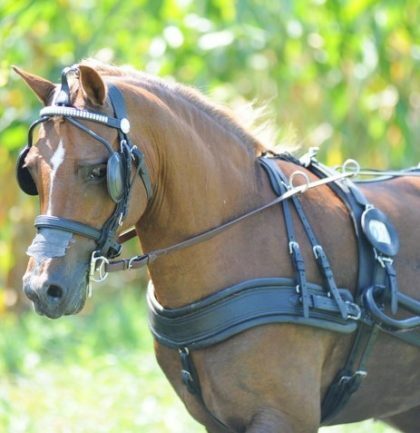 Or we can make draft proportioned harness to fit a cob/horse. The parts will be different proportions of course even though the overall measurements will fit the animal. 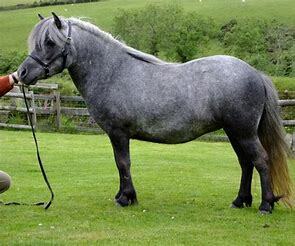 You have to choose whether you want the smaller proportions of the Pony size or the larger proportions of the Cob/Horse size. 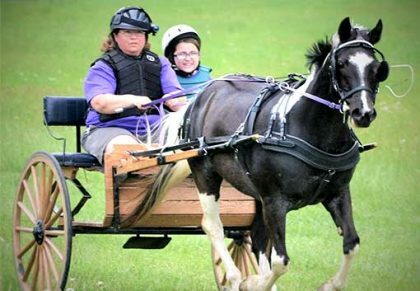 The choice is more obvious with Mini harness or Horse or Draft Harness. But Pony sizes are not always obvious. Is your pony tall and refined? Short and stocky? Short backed, stout but leggy? Finally, order from the category you believe is correct. Harness prices are based on material and labor costs so the smaller sizes/proportions are less expensive to make than the larger sizes/proportions. Chimacum Tack harness is guaranteed to fit – but harness made to measure with different than usual proportions is not returnable. Please always feel free to call with questions! This entry was posted in From Chimacum Tack and tagged Harness Fit, Harness Size, Pony, Proportion, What Harness? What size is my pony?.